All units are shipped with control panel, retrofit panel adapter plate, Heater (if Available) 48” colored/molded mini plug equipment cords, 12v light harness with bulb, plastic drywell assembly, voltage conversion jumper wire, a detailed set of installation and operation documents, and our exclusive Three Year Limited Warranty. 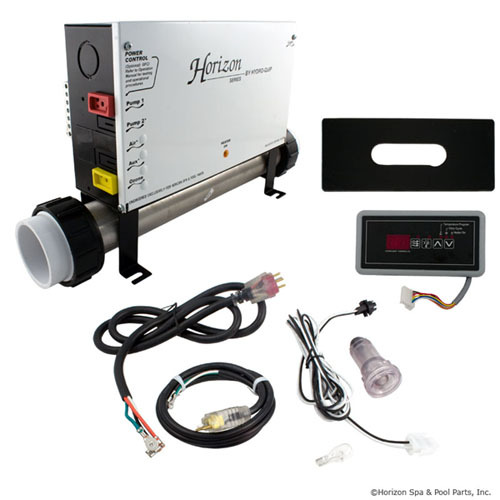 All Horizon Series Control Systems have an Ozone Circuit and a Light Circuit. All component circuits are 120/240v and are easily convertible in the field. Detailed documentation provided with every unit - also available online! Serialized Identification allows for fully transferable warranty! 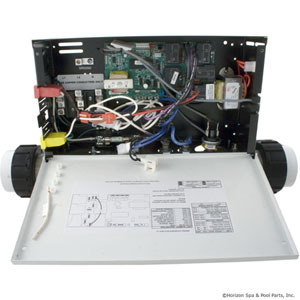 Retrofit cord adapter kit available for easy install to 4-pin AMP applications!